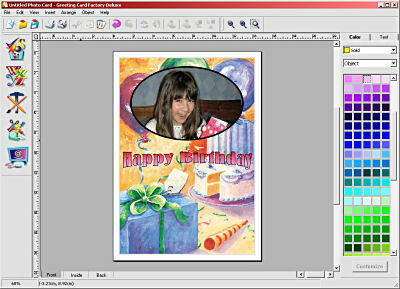 Art Explosion Greeting Card Deluxe, Version 3.0 lets you create and print custom cards, labels and other projects. It comes on four CDs, and takes approximately 1.2Gb of hard disc space for a full install. A limited install takes 600MB, but you will need to use the second Content CD when running the program. The two remaining discs contain graphics and fonts, but I found that many of the fonts were duplicated on the first CD. The box states it has over 15,000 cards, 80,000+ graphics and 5000+ sentiments (templates), but they are not unique, as some designs are reused depending on the type of card. There is a good selection of fonts, but no easy way of viewing them or installing them, other than the standard Windows Font Control Panel applet. The project wizard allows you to choose the different types of cards you can make. Other than the standard greeting card, you can create photo cards where you can import a photo to include it in on the card. The shape of the photo can be customised, but there were some problems with this. To start with, you just double click on the area where the photo will be to import the picture. The whole picture will be placed in the card, but you will need to crop or resize it to fit, as you want it to appear. The crop tool seems to have a mind of its own. If you resize the eclipse shape the image is squashed and you have to tweak it several times before the aspect ratio fixes itself. The shape buttons sometimes do not work, and if you choose the eclipse then go to adjust the colour, the aspect ratio is stretched on the before image in the preview. Specialty cards include pop up cards, which the template makes easy by including all the different parts to cut out and assemble, with written instructions. Scrapbook cards can have several photos included in the design, and puzzle cards allow you to print on to transfer paper and iron onto a pre-cut blank. I haven't seen this type of transfer in the shops, but maybe it is more available in the US, where the program was written. In fact, the designs are very US based, including graduation cards, and American holidays. When I was trying to create a card to congratulate my young niece for passing some exams, I had a very limited choice of card designs that didn't feature a cap and gown. Other card types are note cards (with matching envelopes), announcements, labels postcards, gift tags, certificates, signs and posters, letterheads and crafts. Several of these can be used with a mail merge. The interface has large icons down the side and is easy to navigate. These menu items have user-friendly names for the items in the standard drop down menus. For example, instead of using Insert, then Text, you click on the large text icon, and choose Add Your Own Text. The help is concise, but has very few pictures included. This is contrast to the user guide, which is a full colour PDF file. 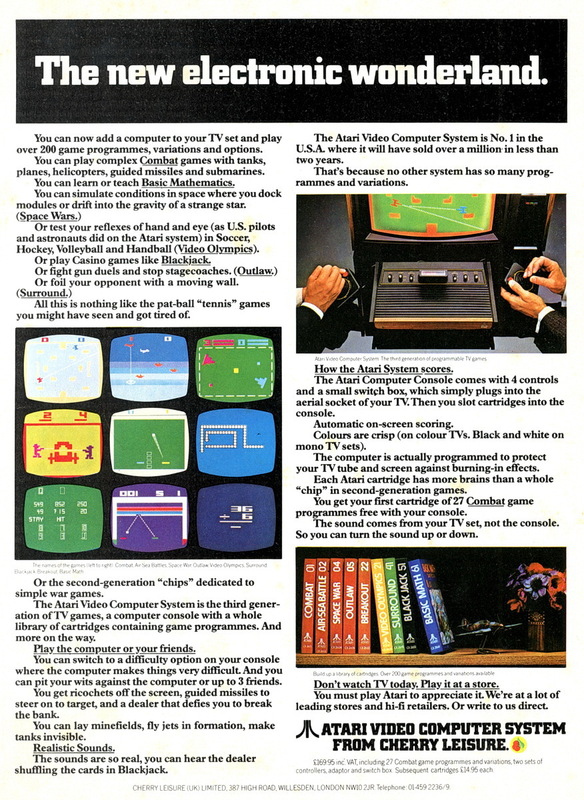 The 100-page manual is a black and white version of the document. 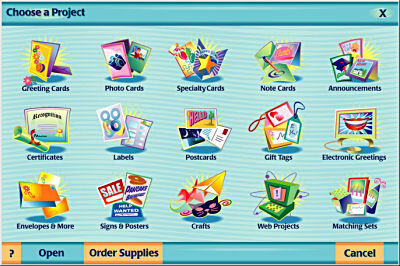 Greeting Card Factory Deluxe has two browser-based project types: web albums and slide shows. You can transform greeting cards, photo cards and note cards into HTML pages by turning the individual panels into separate .jpg graphics that are placed on a background of your choice. 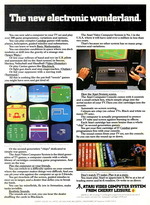 Buttons are included to navigate between the pages. These HTML files are then viewable through an Internet browser and work pretty well with web albums and slide shows except for inserting sound files into the projects. They appear in a pop up window, instead of being embedded in the one page, which looks very messy. Greeting cards, or in fact any project with words, do not work well when published as HTML. As with any web page, you cannot rely on people to have the same true type fonts installed on their PC when viewing a card, so the program converts any text, like the inside of the card, to a jpg. Unfortunately the conversion is poor, and you can't really read any text if you have more than a couple of words, or the font size is small. If there was an option to create a fully coded HTML page, instead of one with just pictures displayed in it, then you would be able to read the text, but you would still have the problem with the true type fonts. If it were converted to a shockwave file (SWF) then the text problem would go away, but maybe there is a licensing issue with Macromedia that prevents them from including this option. Perhaps this has been fixed in version 4.0 of the software, which is already out in the US, with an additional 3,000 cards and 2,000 graphics. The electronic greeting card is a single page project, which sends a jpg as an attachment to an email. When you do this with a portrait card the card is in centred on a white landscape background, instead of being just the card in portrait size. Even with a landscape design, there is a large amount of white space added to the picture before it is saved as a jpg, and there is no option to change this. When you come to print your design, the program takes you through a double-sided print wizard, so you print both sides of your card correctly. This happens the first time you try to print, or indeed if you try to print preview. I wanted to see how the card would look before printing, but I had to go through the wizard before seeing the results on screen, which was odd. There is no print setup, so I couldn't select the printer before the wizard started. My default printer is a black and white laser, and I also have a colour inkjet printer. In order to get the wizard to run on the colour printer, I had to print the project, select the printer and then cancel the print. Then print it again to get the wizard to run. Despite this, the wizard did it's job, and when you print your project, an animated screen shows you which way to take the first printed side and put in back into your printer to print the second side. This is created dynamically each time you print, so the image of the printed page contains the actual project you've just created. The deluxe version also comes with PictureToTV, a program to put your pictures onto Video CD and burn a disc that you can view on your DVD player. The manual says you need to install this separately, but it is installed by default along with the main program, so that needs to be corrected. The program works the same way as other picture to disc software, like Ulead's PictureShow or Roxio's Media Creator, browsing for pictures, changing the background, adding music, etc. When you burn the disc, you only have the option of Video CD, which is 352x288 pixels on a UK PAL TV system. To use the SVCD option, with a better resolution of 480x576, you have to buy the plugin from Nova Developments. There is no option to burn to DVD, so you are limited to 700MB of data on the disc, although the Video CD format doesn't use the same error correction as a standard CD-ROM, so you can fit a couple of extra megabytes of data on a Video CD. The divide between the contents of your disc and the bottom half, which is used to browse your PC for pictures and select options, is fixed and the lower window is very small. The drag and drop interface is not intelligent, so if you drag the same pictures from a directory, it will add them twice to your album. You can select any of the 14 transition types for the pictures in an album, but you cannot have none! The Video CD format supports a high-resolution still image, which is used for the menus, but as your pictures are not still (as you have to have a transition), they are converted to a movie sequence, and so are reduced in size. The menu templates only allow four albums to a page, and the thumbnail image used is stretched to the menu holder size by default (this can be switched off though, but you cannot change the background colour of your smaller picture if you do). The mpeg video quality is not that great when played on a PC, and just as bad when played on a TV. Every disc created has an intro movie of created with PictureToTV, and the transitions are pixelated, especially the zoom. There is a noticeable flicker of artefacts when the picture is still on the screen (between transitions). 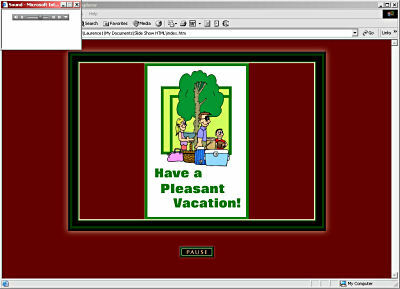 Greeting Card Factory Deluxe 3.0 could be a very good program, but the bugs in the interface, along with the over Americanised graphics reduces its appeal. The lack of SVCD and DVD support out of the box for PictureToTV along with the poor mpeg quality makes it unusable if you want a quality disc to give to friends or relations. The software is copyrighted 2002-2003, but some of the design in the interface makes you think the program was written earlier than that. The printed output is great, but the method of creation could do with a bit of modernisation.